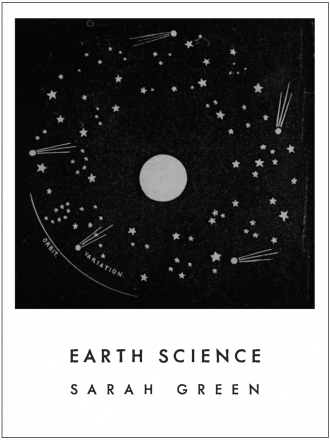 Daniel Beauregard, as much fabulist or cosmologist as poet, writes from dreams and visions, molecules and matter, rites and artifacts. The result is this slim, but hardly mere, collection of eighteen poems. 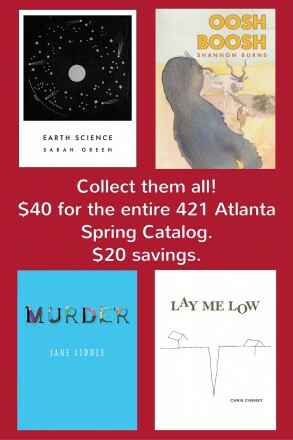 Often prose poems, often alliterative, sometimes koans, sometimes jokes, each lovely to read out loud. 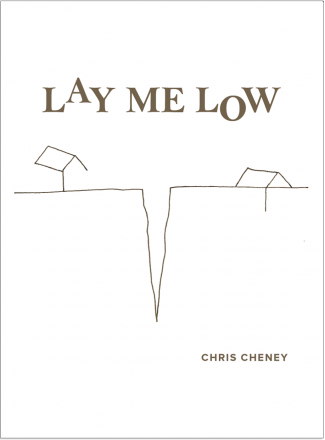 This is a chapbook that creates sinkholes, soft spots in narratives that are open, that form with holes / vents in their side. Things get in. They escape. What’s important is that they go and that their movement is traced. Each word Beauregard writes down has consequences which bloom into the next word. 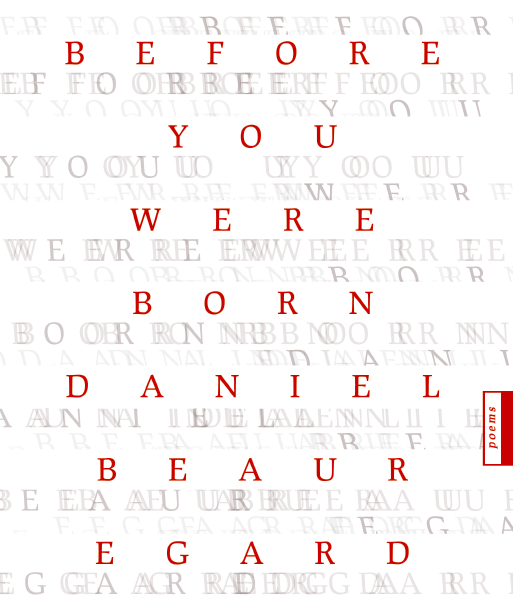 Daniel Beauregard’s Before You Were Born reads like notes scribbled from a periled past, unconcerned with that full story, brought here instead to parallel what we still heave and wheeze about….These poems radiate a pulse that lights up today in that way only shadows can. Wow, I said again and again reading, and the empty room trembled. If Daniel Beauregard could figure out a way to slice himself into quarters, vertically, following the meridians of his nose and ears, so that his body separates like fruit segments, without killing himself, I believe he will have found the perfect invention for his tendencies. I’m not talking about courting suicide, but eavesdropping, divination, sculpture—the nature of (the insides of) things: humors, mirrors, vapors, ova, affections, apparitions.